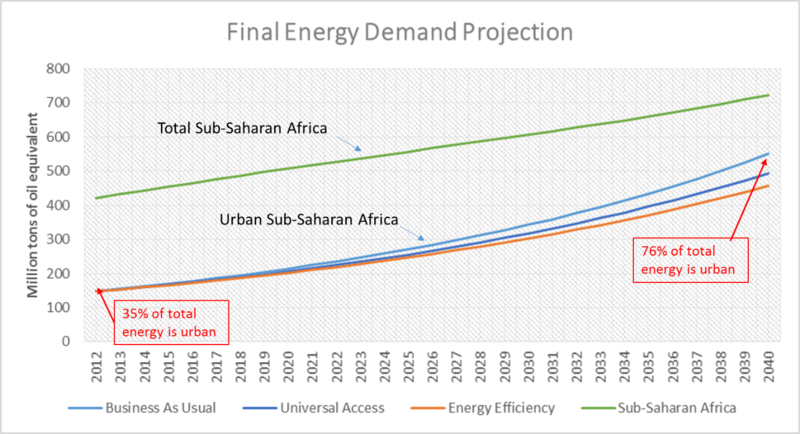 Clean Energy Transitions – Can Africa Leapfrog? Simon Batchelor from Gamos Ltd offers his thoughts on smart technology in sustainable energy, and the concept of “leapfrogging” in energy transitions. Obviously this conference discusses the high tech end of the spectrum. There are many actions that can be taken to move towards cleaner, more sustainable energy production and consumption. Switching off lights to save energy can be done by changes in behaviour – people ensuring they switch the light off when leaving the building. But humans are fallible, so many technicians propose connecting lights to sensors that switch them off when there is no movement. This conference spent a lot of time discussing such high tech alternatives – smart buildings that monitored and managed energy. Even smart cities that mapped where people were travelling to and organised the public transport accordingly. So for instance, one of the papers talks about smart management of a building in the University of Groningen in the Netherlands. Their paper “GreenMind – An Architecture and Realization for Energy Smart Buildings” states in the abstract that existing buildings are responsible for more than 40% of the world’s total primary energy consumption (although that seems a very high proportion?). They go on to say that current management systems fail to reduce unnecessary energy consumption and preserve user comfort at the same time mainly because they are unable to cope with dynamic changes caused by user’s interaction with the environment. So they created a software architecture for energy smart buildings. Experimental results carried out in the Bernoulli building, a 12.000 square meter building of the University of Groningen, show that the proposed solutions are able to save up to 56% of electricity used for lighting, at least 20% of electricity used for heating while the savings from controlling workstations as well as other appliances are 33% and 10%, respectively. overall, their solution is expected to save up to 28% of total energy consumption in buildings such as the Bernoulli building. But what relevance has this to Africa? Well, I listened to their Eurocentric presentations with an ear for Africa, and I was surprised by what I heard. In Citizen observatories of water: Social innovation via eParticipation, I heard officials from the Netherlands discuss how difficult it is to get people to report problems. “Advanced citizen observatories can enable a two-way communication paradigm between citizens and decision makers, potentially resulting in profound changes to existing flood risk management processes”. That is; they have created community volunteers who are willing to report problems! This has been a problem in the past for Africa, not because people are unwilling to get involved (as is the case in Europe) but because the distance to report a problem was too far. A broken handpump may lie idle because the community do not have the bus fare to get to the district to report it. However this is changing. There are mobile phones and reporting problems can be just a phone call away. Africa does not need sophisticated websites to collect data on problems, it needs only a willing ear to listen – ears which can be used in face to face conversation or through a simple phone call. As I sat listening to various presentations, looking for the leapfrog technology; I was surprised. I realised that what Africa had was a leapfrog society. Citizens who are willing to talk to each other in community, and to engage with officials IF officials are willing to listen. The matching of mobile phones and a willing society could result in big data that might really help transitions to clean energy. 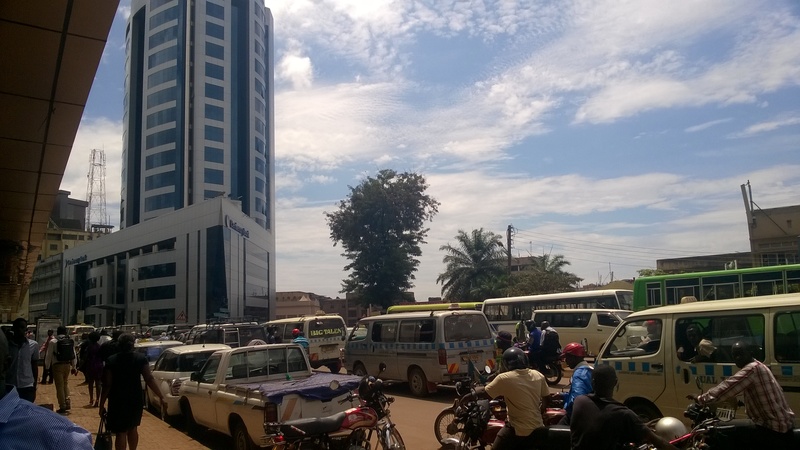 This entry was posted in Gamos and tagged Africa, Community, Community Engagement, Community Volunteers, Energy Transitions, Gamos, Leapfrog, Leapfrogging, Local Government, Management, SAMSET, Smart Buildings, Smart Cities, Smart Technologies, Sub-Saharan Africa, Sustainable Energy, Sustainable Energy Transitions, Water on January 14, 2015 by danielkerrucl.